This theme, regardless of its nice background textures and patterns, is very simplistic and sober. 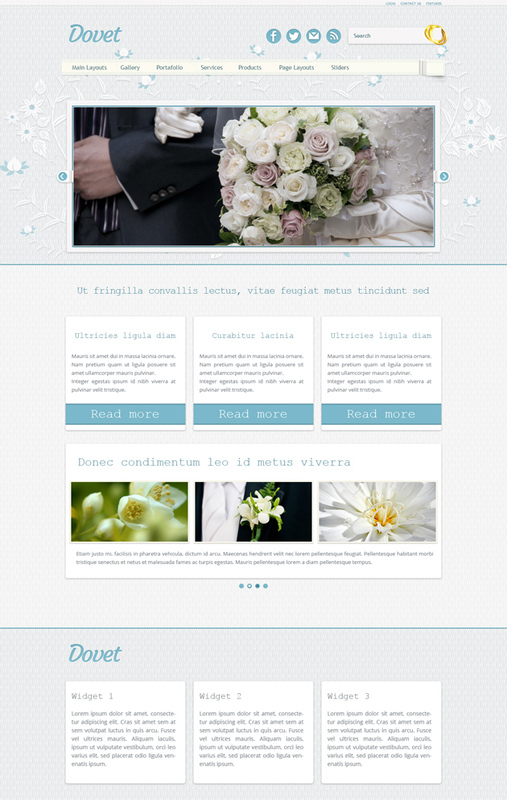 the scope of this theme is very specific, wedding sites. but the theme has a very flexible layout to adpat to the type of wedding site (magazine, portfolio, personal blog, store, etc). And edited with our theme generator\'s framework, it can be pretty much converted in a theme that is perfect for any kind of gala and formal events related sites. Flat Education - 2513 icons. Windows 8 Web Design - 2619 icons. Material accounting - 2872 icons. Icon Fonts Graphics - 2528 icons. Real vista computer gadgets - 2921 icons.